The internet has revolutionized how people research and plan RV trips. Not too long ago you had a campground directory to show you a few different options where you were headed. It's not uncommon to pull into a campsite after a long day on the road only to find out that it isn’t anything like the brochure showed. With the internet, you can view user photos of a campsite, read about accommodations, and check out reviews. Seeing a review from someone that has already been to the park is one of the best ways to get an accurate assessment of what staying at an RV park is like. You may not feel like sifting through tons of different websites to get the reviews you want but no worries: here's a list of the three best websites for RV park reviews. RVBuddy is full of plenty of RV parks and reviews and is a great tool for finding a great campground. RVBuddy divides the United States into six distinct geographical locations on its homepage, such as the Southeastern region. You hover the cursor over the region where you’re intending to go, and a drop-down menu will reveal the states in that region. From there, you click on whatever state you’re traveling to in order to get to that state’s particular page. On that page, you will find several different RV parks and campgrounds along with their respective reviews. Another helpful feature of the site is their Reviews by Route section. If you don’t know where you’ll be heading, use the Reviews by Route section to navigate to specific highways or interstates. You can submit your own reviews the help grow the site even larger. The website has a simple setup. When you arrive at Campendium, the homepage asks you, “Where do you want to camp?” You can use that search bar to look for grounds, or you can use some of the other tools toward the top of the front page including RV parks state by state, places where you can camp for free, national parks, national forests, and more. Campendium is consumer-oriented with the bulk of content for the website being created by the people who have visited the parks. These include reviews, photos, and more. Campendium is still definitely worth visiting for the site's pleasing aesthetic quality, functional navigability, and fun customer reviews. The third-recommended sight is RV Park Reviews and this one is my personal favorite for good reason. The site hosts thousands if not hundreds of thousands of reviews for RV parks, grounds and resorts all across North America and there are many ways you can start your search for the perfect destination park. Let’s say you plan on staying in Albuquerque, New Mexico. You navigate over to New Mexico on the list or map, click that, then click Albuquerque once it loads up. Now you can preview several different parks around the Albuquerque area. You will immediately see the RV park’s average review. Once you click on the individual park you can see much more information about the park including features, amenities, and individual reviews. A bonus is that the page will also display other RV parks within a similar area so if a park you thought might be great has terrible reviews, you can search for another one close to it. 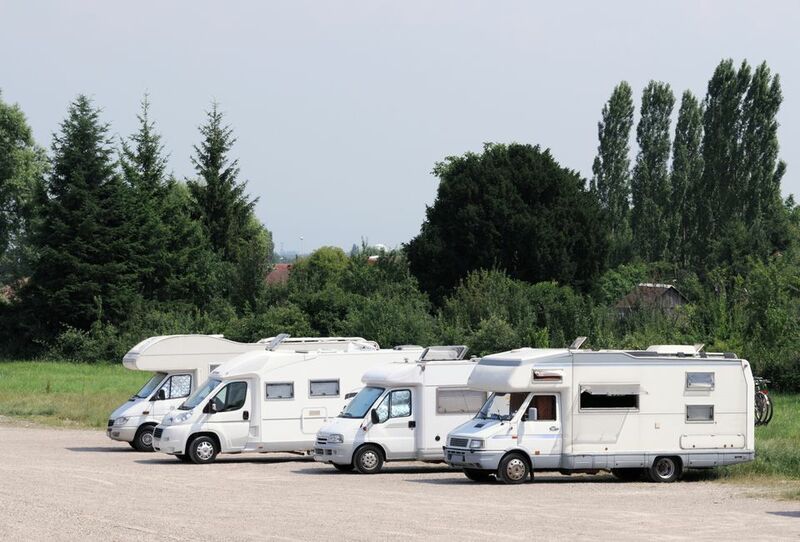 Make sure every time you visit an RV park that you leave a review based upon your experience, good or bad. This will help other RVers find the right places to stay on their travels, just like you did. When RVing, it’s important to find the right RV park, campground, or resort to stay at near your destination. This makes your life easier and gives you the amenities you need to make the trip easier for you and your family.